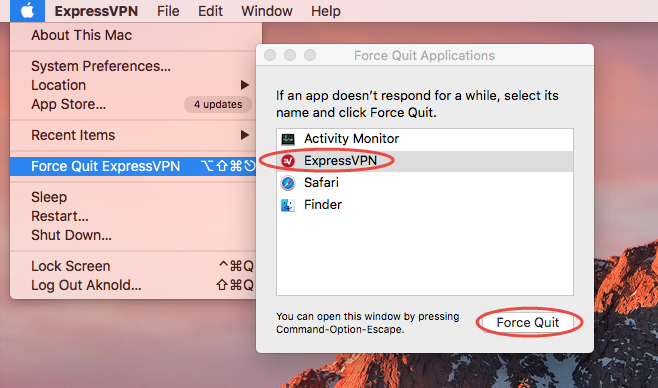 Unable to uninstall ExpressVPN from your Mac? Don’t know how to fully delete all its components hidden in the system? You will find the proper solutions in this post. 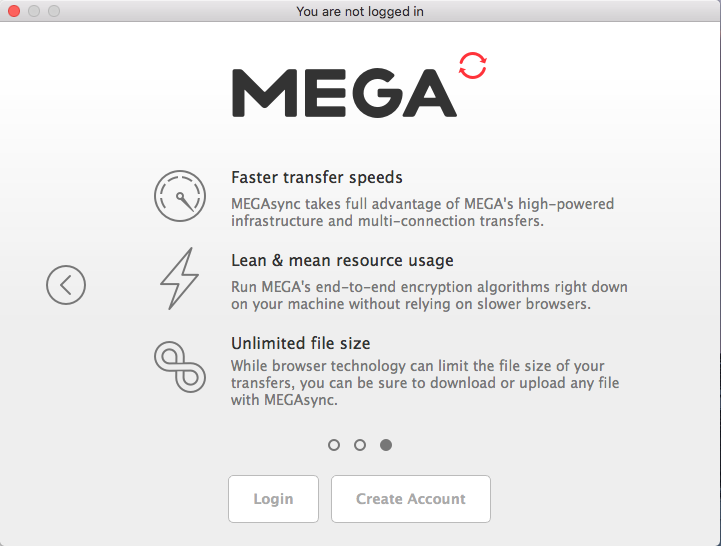 Mac users can take different method to remove ExpressVPN, depending on the way in which this app gets installed on Mac. We will cover all available ways of uninstalling the app for Mac, and it is your choice to decide which uninstall method to adopt. First of all, you can follow the regular steps listed below to manually remove ExpressVPN, or if you prefer to save some time in this task, skip to the last section of this post and see how to effortlessly get rid of an unwanted app along with its traces. Follow the regular steps to properly remove ExpressVPN and its leftovers. 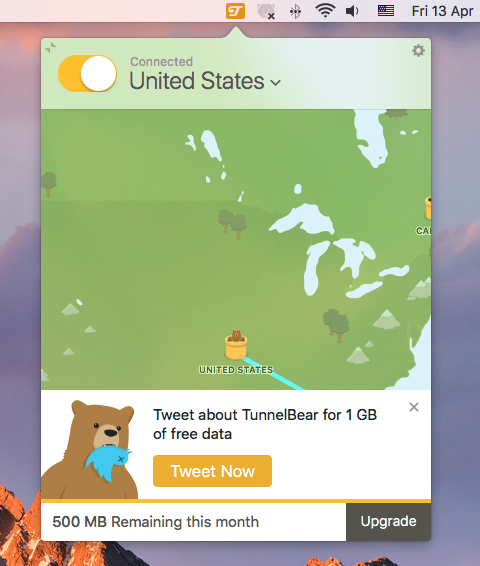 Prior to the standard uninstall, you should go to check if the app is running or not. 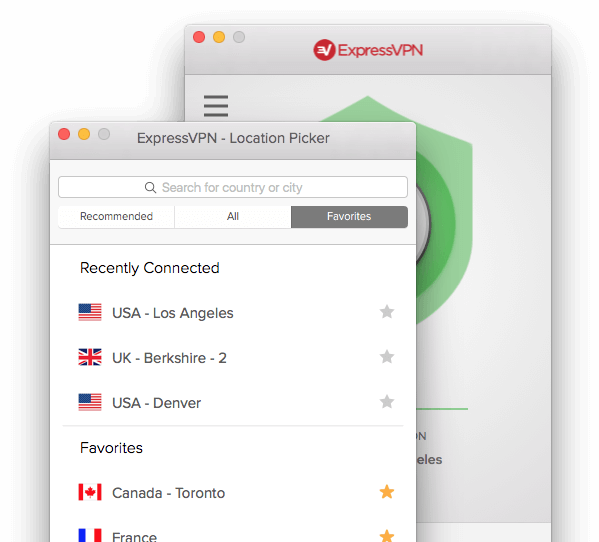 If ExpressVPN is in use, you will not be able to delete the app from your Mac. 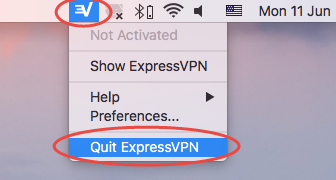 To quit ExpressVPN, click ExpressVPN icon appearing in the upper right corner of the screen, and choose Quit ExpressVPN. 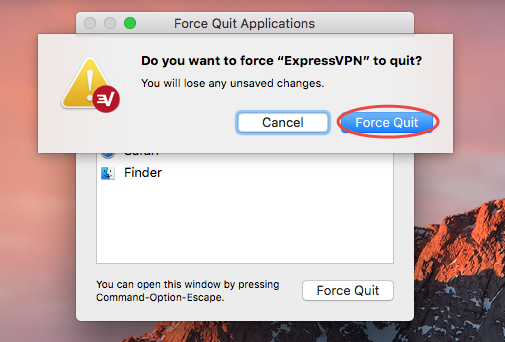 To force quit the frozen app, you can press the Command – Option – Esx keystroke to activate the Quite Applications windows, then click ExpressVPN > Force Quit, and click Force Quit again in the pop-up dialog. Open up Activity Monitor from Dock, via Launchpad or through Spotlight. Type ExpressVPN in search box, and select the process that contains the keyword. After that, 3 options are available for you to uninstall ExpressVPN the app itself. 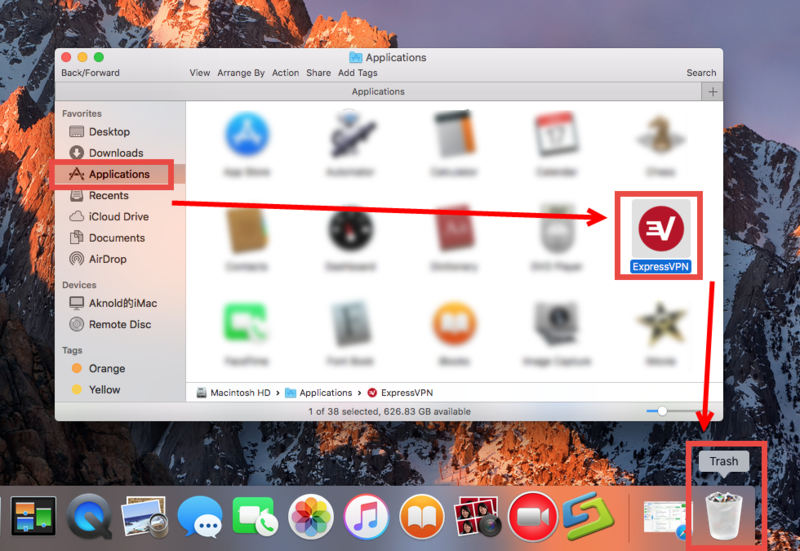 Locate and select ExpressVPN, drag its icon to the Trash in Dock, and drop it there. Alternative, you can right click on ExpressVPN and choose Move to Trash option. 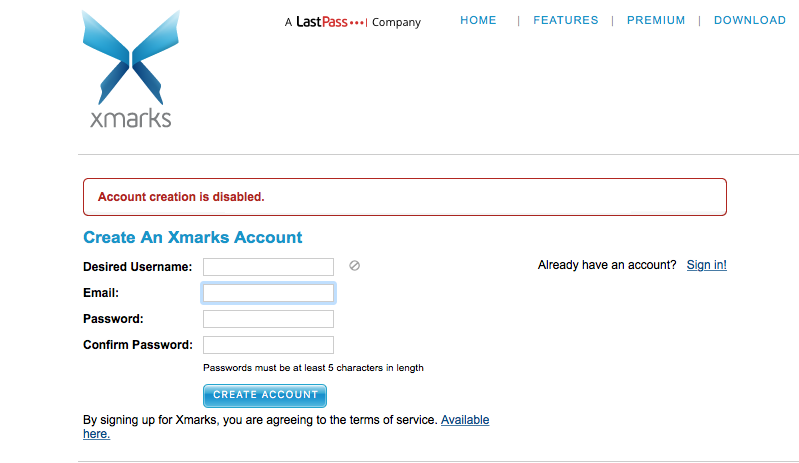 When prompted, enter you current admin password to allow the deletion. Note that emptying the Trash will permanently remove all the items thrown in Trash. Before that, make sure there is no useful items in Trash. To avoid any potential risk in this step, you can open up Trash and delete the ExpressVPN app alone there. Head to the Launchpad, and search for ExpressVPN. 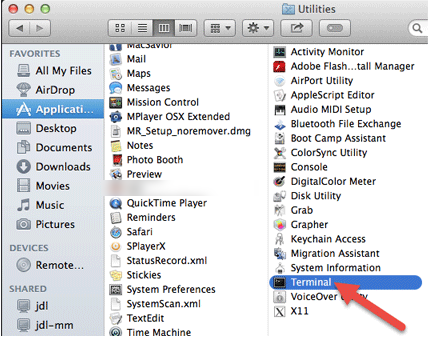 Launch Terminal from Spotlight or in the /Applications/Utilities folder. 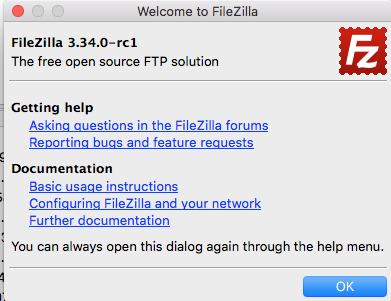 Hit Enter/Return key to run the command, and type Yes in the window when asked. Enter your admin account password when asked, to confirm the removal. When you are prompted that the uninstall is finished, close Terminal window. 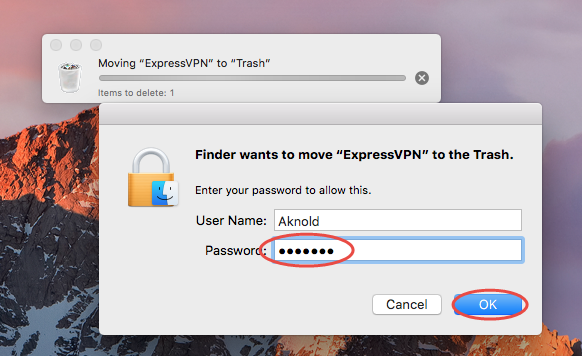 So, there are the available ways of manually removing ExpressVPN from your Mac. Incomplete uninstall may be the issue that upsets user most. Even you have followed the aforementioned way to remove the ExpressVPN app, you still cannot get rid of some of its components. Now you need to continue deleting ExpressVPN leftovers. Warning: Don’t rush to delete any file if you are not sure whether it belongs to ExpressVPN, as deleting unrelated items could affect other apps or even the system. 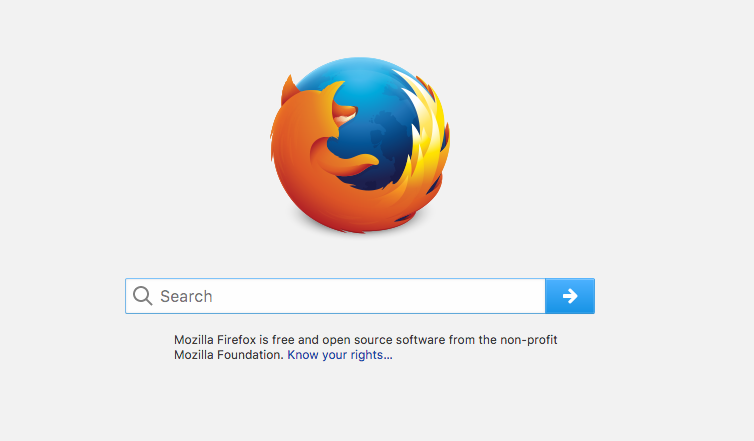 In ~/Library, click Search in upper right corner, and type ExpressVPN in search bar. 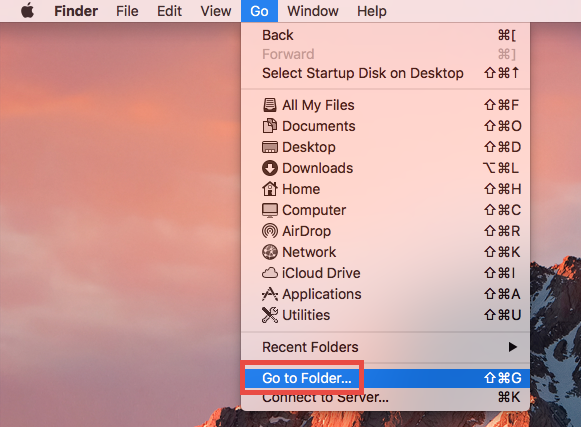 Select associated items under This Mac title, and move them to Trash. 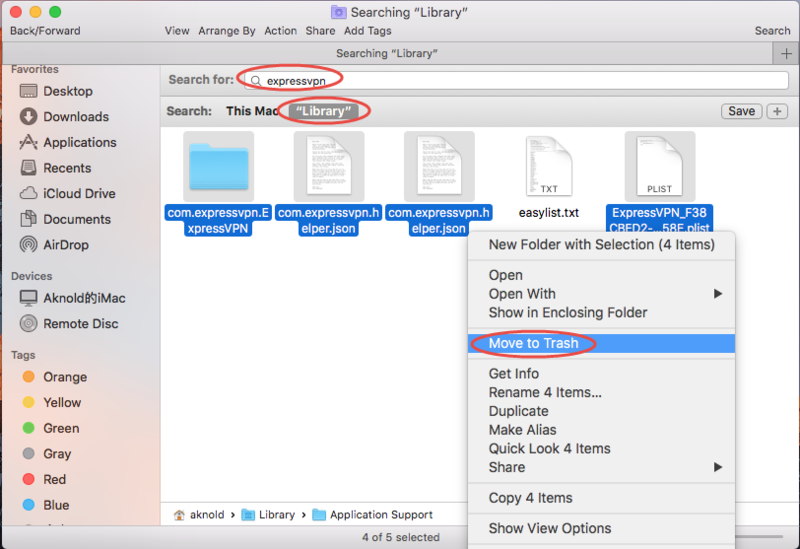 After that, repeat the steps to delete ExpressVPN leftovers stored in Library folder. Finally, empty the Trash to permanently get rid of all ExpressVPN traces. 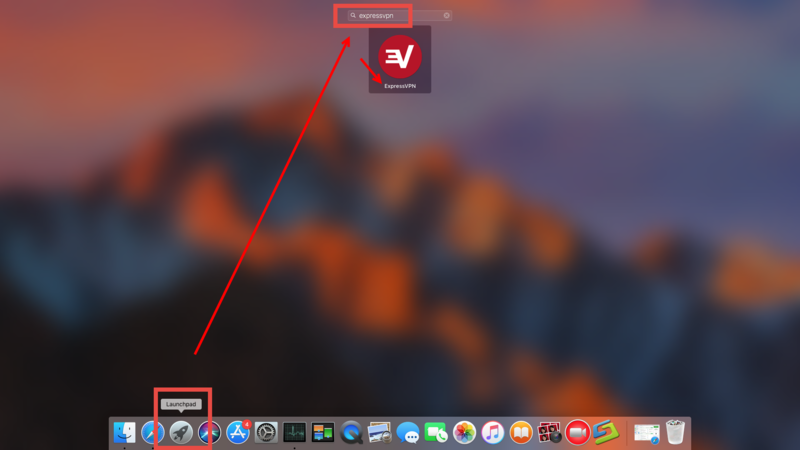 That’s how you can manually delete ExpressVPN and its remaining components from macOS/Mac OS X. The steps mentioned above are feasible to delete most 3rd party apps, but if problems still occur, you can switch to the automated option shown below. Manual deletion requires users to pay more time and patience, while utilizing a professional uninstaller may be a better option if you are desired to avoid troubles. Then what can Osx Uninstaller do for you? As a lightweight yet professional Mac remover, it allows you to remove all app components from Mac in a few seconds. 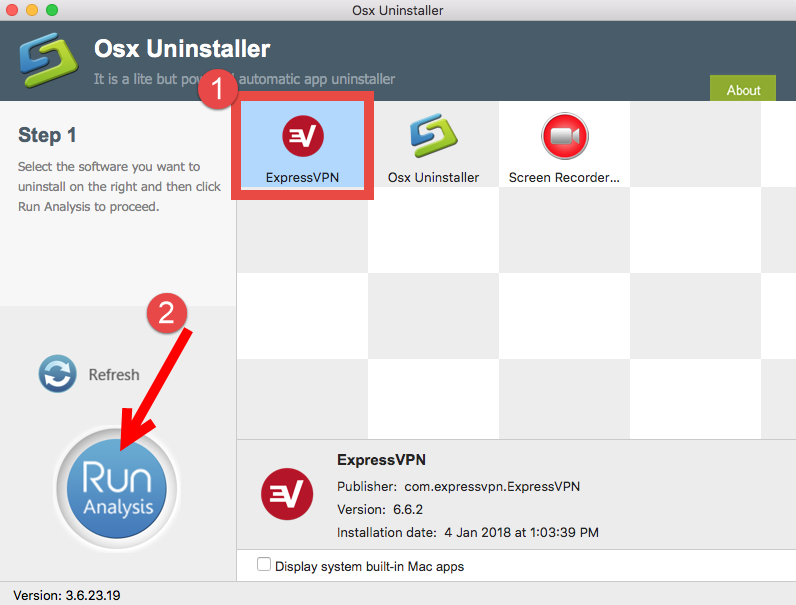 Launch Osx Uninstaller, select ExpressVPN and click Run Analysis button. Click Complete Uninstall, and then click Yes to execute the uninstall. Click on Back to Interface button to re-scan currently installed apps. 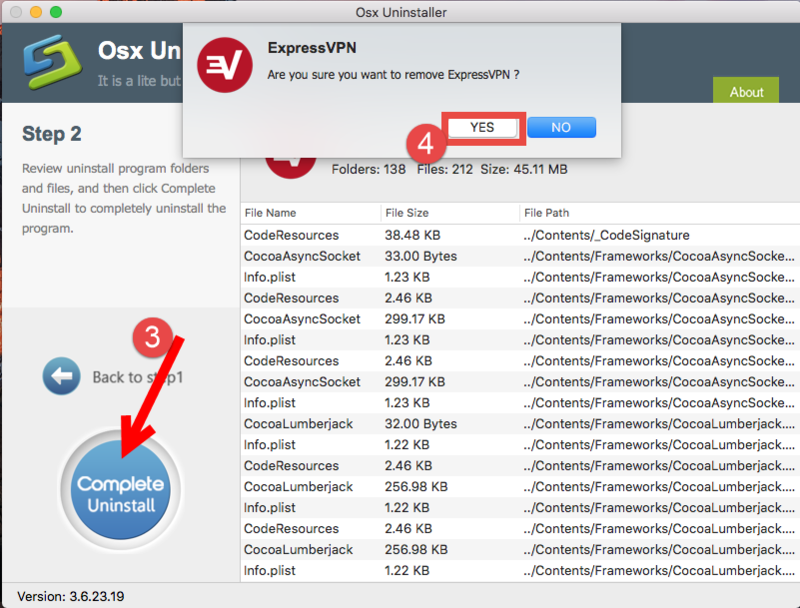 Compared with manual removal, running Osx Uninstaller to uninstall ExpressVPN turns out to be more effective and time-saving, but please note that Osx Uninstaller is a paid software which requires a valid license to perform the final uninstall on Mac. If you don’t want to pay for the service, then back to adopt the conventional means. 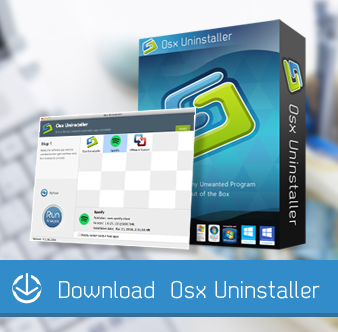 Still hesitate whether you should give Osx Uninstaller a try? Well, just go for it, as the vendor promises a full refund if users are not satisfied with its performance.